The North End of Boston is rich with exciting investment opportunities for landlords and investors alike. From historic buildings converted into modern luxury apartments to new construction projects along the Waterfront, this area gives investors the opportunity to add a high value property to their portfolio with a great location and huge rental income in one of Boston’s most popular neighborhoods. So if it’s an investment property in the North End you’re looking for, you’ll find no tool more valuable then North End Pads to turn your investment plan into a reality! 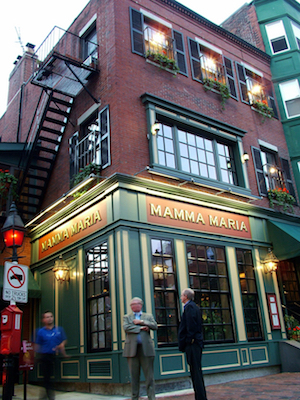 We offer the largest and most robust database of North End investment property listings in Boston. Using our search tool, you’ll be in full control of the buying process, as you’ll have access to up-to-date listing information you will need to evaluate and assess the property. You even have the ability to receive alerts anytime a property that fits your specification hits the market, so you can be one of the first to see new listings as they become available. There’s no tool more powerful for local North End real estate listings. In addition to providing this powerful search tool, you’ll be able to connect with some of Boston’s best real estate professionals to help you close on your ideal investment property. Agents found on our website have years of experience selling real estate in the North End, and they can impart valuable local knowledge so you can make smart investments that will yield the highest return. Fill out our contact form below to get connected to one of the agents found on North End Pads, and you’ll have an invaluable partner in your business plan to invest in North End real estate!